Buy a bulk pack of liners and save! Good quality bin liners which fit the product really well. Bought the great little bin once I discovered the great little bin liners. The liners are easy to fit. They are strong, convenient and---- perfect! These bags, like the other simplehuman bags work great, are very strong and fit great. I purchased the simplehuman round can which came with a miniature size can as well. I received a coupon for bags and I figured what the heck I would try them. Well, let me tell you now that I have I'm spoiled! 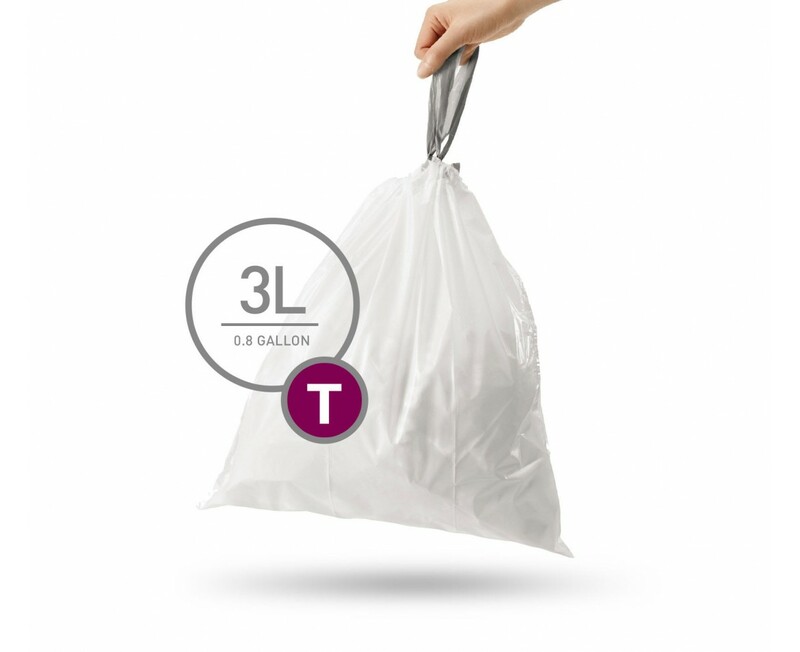 These are the most well made, durable garbage bags I've ever uses. I find them to be reasonably priced and will definitely order again. Not too big and not too little. Easy to put in and take out and stays in place.